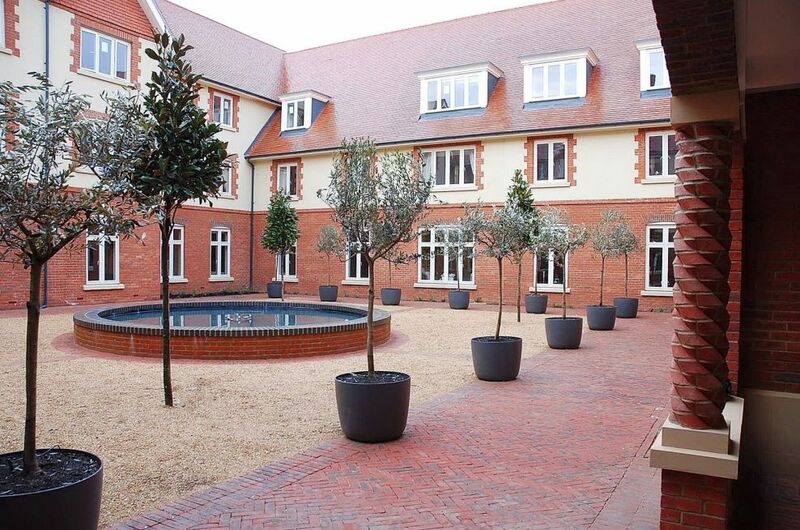 Boulevard and Slate planters from IOTA feature at a new luxury retirement community in the heart of rural Oxfordshire. The majority of the planters used are the KYOTO 70 design, which was specified for the central courtyard at the heart of the community. The KYOTO 70 planter is from IOTA’s Boulevard range of high-performance composite planters, and is a best-selling design within that range. With diameter 70cm, height 54cm and volume 160 litres, the KYOTO 70 is a capacious and highly versatile pot suitable for a wide range of planting schemes; and its strength and stability make it particularly well suited to specimen tree planting, as shown here. 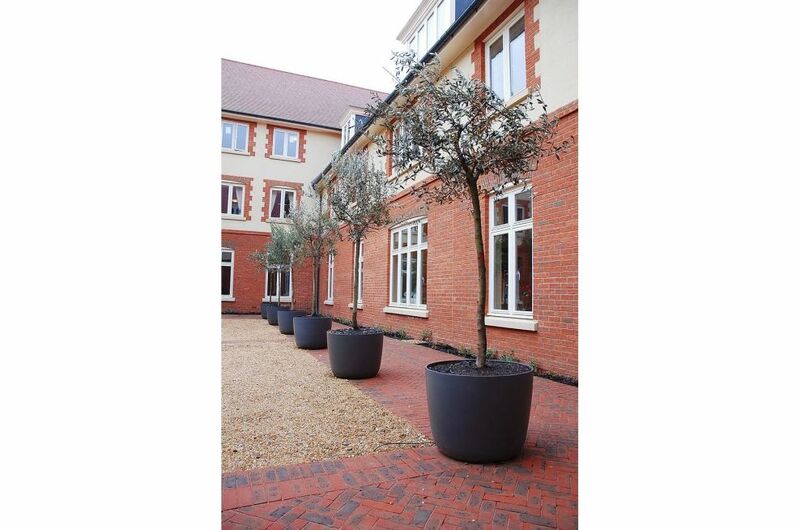 Other planters used on this project were the QUADRA 75, and a selection of Low Tapers and Tall Tapers from IOTA’s Slate planter range. 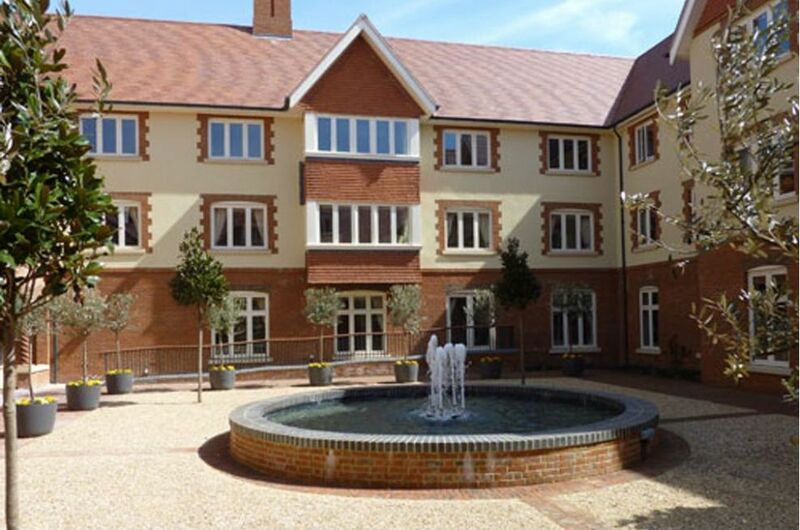 Richmond Villages at Letcombe Regis comprises 34 independent apartments, 23 assisted living apartments and 50 care home places within a purpose-built luxury retirement community. 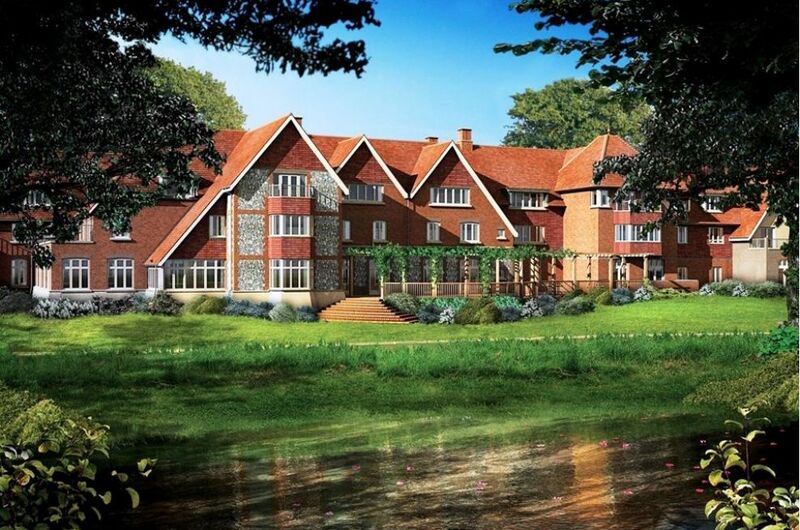 Facilities include a wellness spa, bowling green, restaurant, library and entertainments room, in addition to extensive landscaped gardens around a lakeside setting. 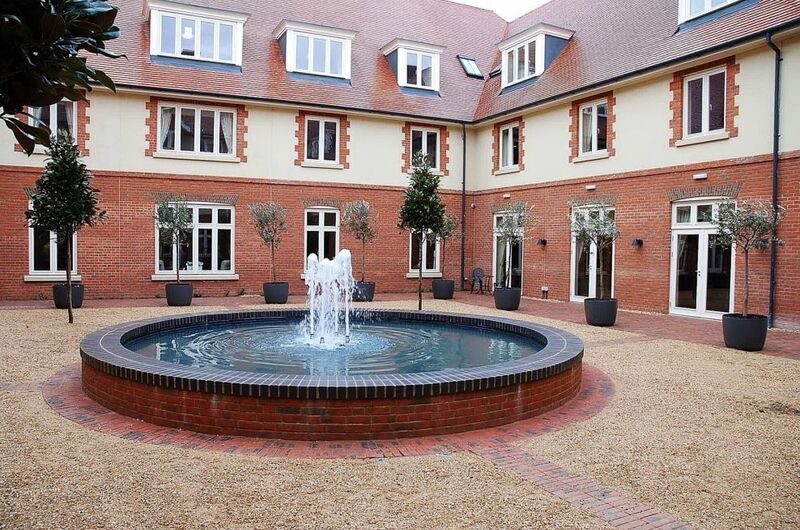 IOTA’s planters were specified on this project by landscape architects Portus + Whitton LLP, with the installation being conducted by landscape contractors Cotwolds Estates and Gardens.